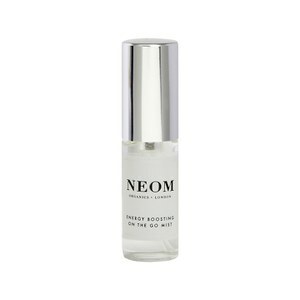 Experience the powers of Neom 'Pulse Point Deep Sleep Treatment' in 'Tranquillity™', an intense pulse point therapy designed to calm the mind for a soothing night's sleep. Light yet powerful, the calming formula combines nineteen sleep-inducing essential oils, including lavender, sweet basil and jasmine to relax the mind and prepare the body for sleep. Simply apply to the wrists, behind the ears and soles of feet to experience its soothing, therapeutic aroma. Sipaise pulssipisteisiin (ranteisiin, ohimoille ja korvien taakse). Hengitä sisään nenän kautta 7 sekuntia ja ulos suun kautta 11 sekuntia. Caprylic/Capric Triglyceride (Coconut Oil), Parfum*, Linalool, Limonene, Citronellol, Coumarin, Citral, Benzyl Benzoate. *Made with 100% natural essential oils including English lavender, sweet basil and jasmine. Made with 94% certified organic ingredients.